Looking for a great place to go to in Killington? Well look no further. 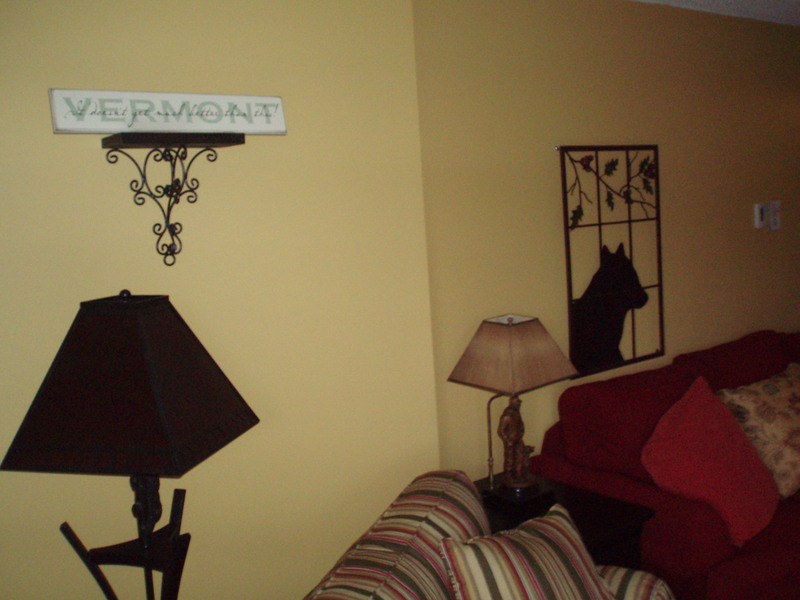 This is Mountain Green Condominiums in Killington which is less than five minutes to the slopes. MT. Green has the most amentities onsite. Finding responsible owners who will share their place is the key to a great and upscale visit. Heading to Vermont? 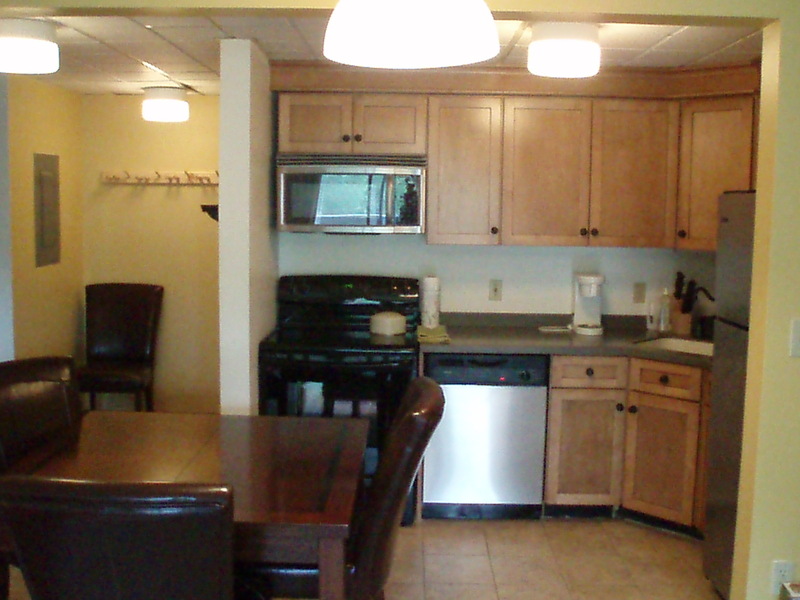 Our 3 bdrm condo sleeps 9 and is minutes from the Snowshed and Ramshead base Lodge. A great place with all the comforts of home and within a three-five minute walk to the Base lodge. Located at the top of the Mountain just below the Base Lodge. 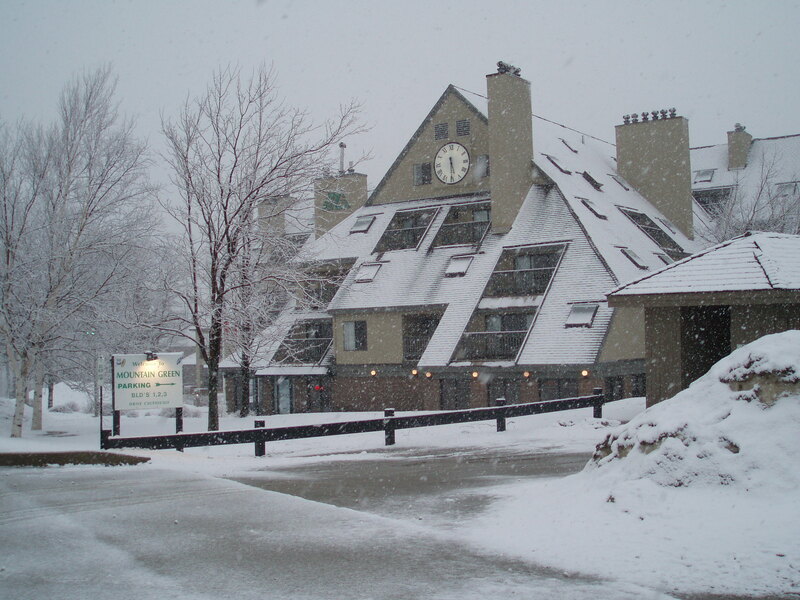 Mountain Green Condominiums are the ultimate place for the Skiier and Snow lover alike. Mountain Green has the most amentities in the area all under one complex. Pool, Hot tubs, sauna, steamroom, raquet court and Day spa services are just some of the highlights of this complex. There is also a gift shop, deli, ski shop and even an arcade for the kids. A true park and play vacation. Our places at Mountain Green can be found at www.Killingtonnow.com . A great place with all the comforts of home. Wireless internet, wood burning fireplace, cozy living room with cable tv and a pull out twin sleeper. 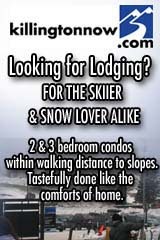 There is a 3bdrm corner unit facaing the slopes that sleeps Nine. There is a master bedroom with a queen and similar second bedroom. The third bedroom has double bunks. 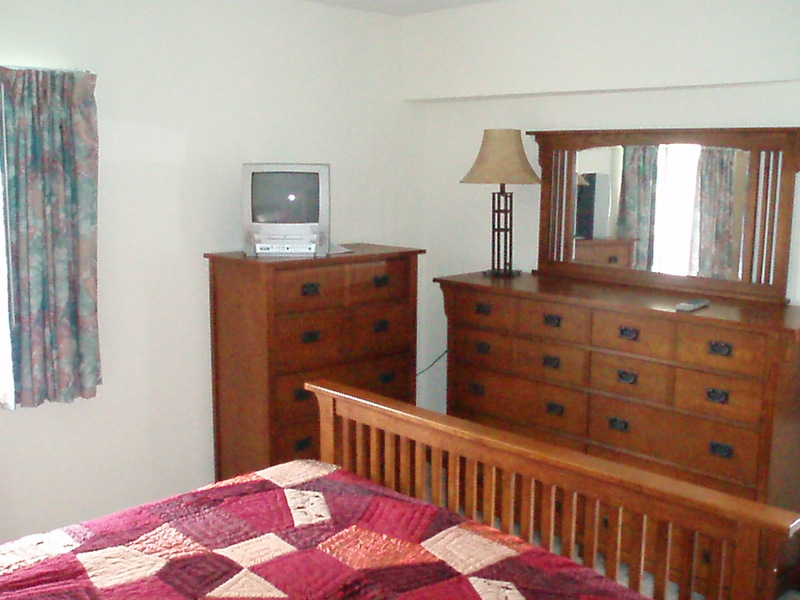 This is the master bedroom with pillowtop mattress and comfy down blankets. 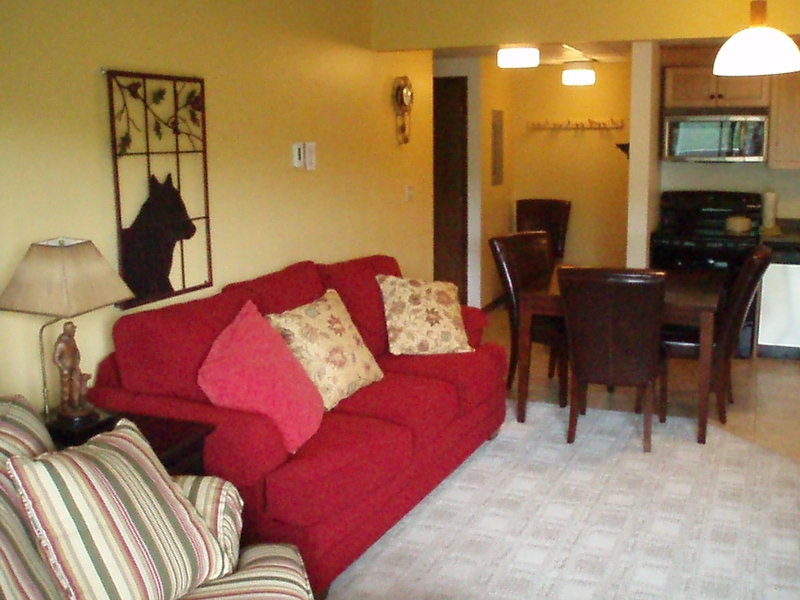 The Condo unit is managed personally and pride ourselves on the furnishings and bedding. 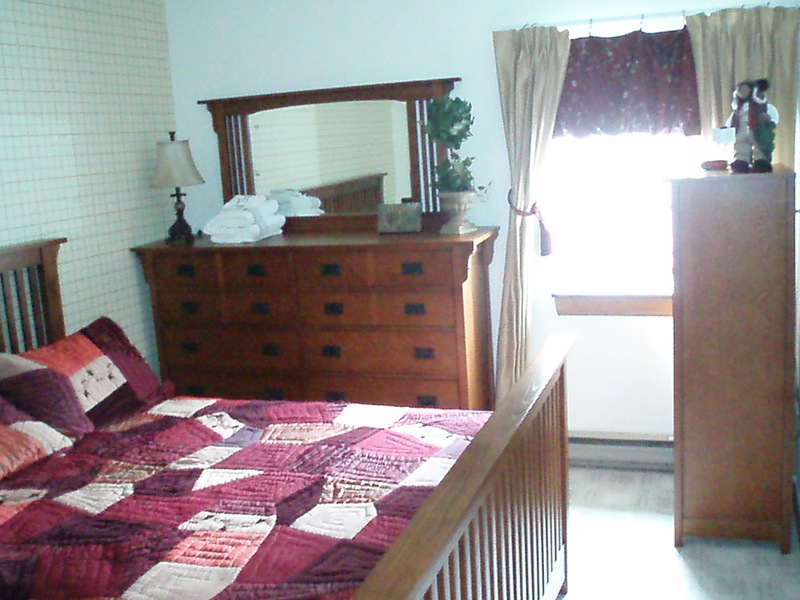 Our cleaning staff is very thorough and all blankets and comforters are cleaned each time. This we feel is the difference in a happy family and returning friends and family. We pride ourselves on the positive comments and have received over 29 guest comments to be proud of. We know your vacation time is important to you and we do our best to make it enjoyable. We have had great guests and are discerning on our rental activity. This is another positive over the bulk and mass renting of guest parties. This unit has newer carpet and tile throughout. Cable tv and wireless internet are another incentive here. So after an endless day of skiing and snow adventure, you can feel assured that you are coming home to a nice, clean unit. 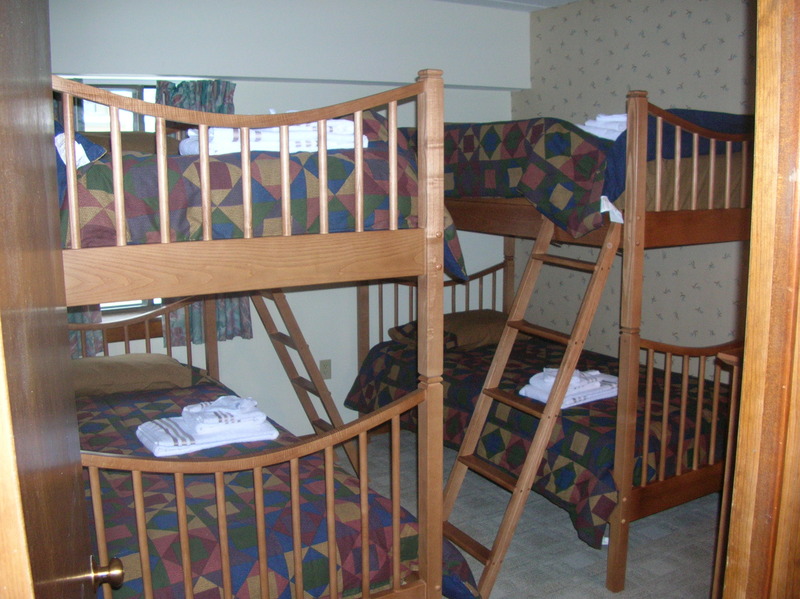 The third bedroom has double bunks. Perfect for children and or adults. Vermont made bunks are solid and a nice touch to accompany the many guest arrangments necessary. The skiing atmosphere is just outside your window. Unbelievable Mountain views from each room. 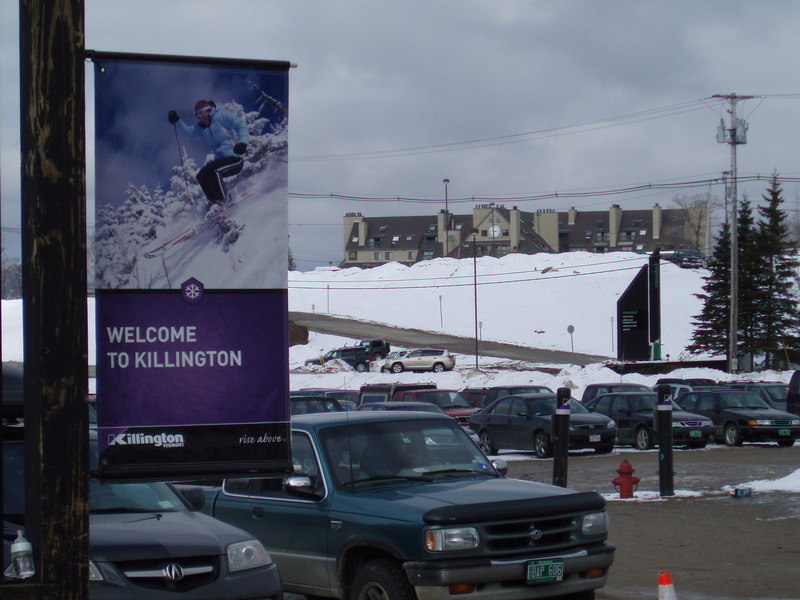 This entry was posted in Killington, Killington now, Killington Vermont, Killington vermont lodging, Killingtonnow, Killingtonnow.com, Mountain Green Condominiums, Mountain Green ski and golf resort, Ski Killington, Uncategorized and tagged Killington, Killington lodging, Killington rentals, Killington Vermont, Killingtonnow.com, Mountain Green Condominiums, Mountain Green Condos, Mountain Green ski and golf resort, Ski Killington. Bookmark the permalink.